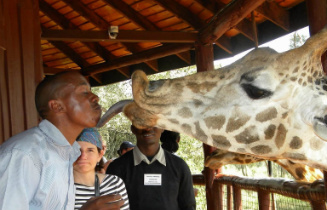 We pick you up from your hotel either in the morning or afternoon and we visit the Giraffe Centre, a chance for a close up interaction with the giraffes allowing you time to feed them pellets with from your hands or they lick it off your tongue. We crown the trip with a visit to Kazuri Beads factory for hand crafted beads and pottery. Great options here to gift your loved ones back home.